Microsoft is overhauling its update system, preparing single Windows 7 and 8.1 Monthly Rollups for security and reliability issues, as well as important changes to its Update Catalog. 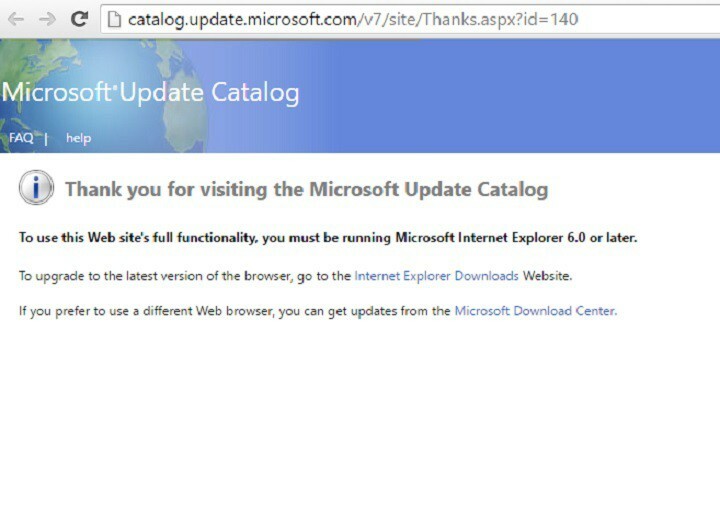 Currently, if you want to check out Microsoft’s Update Catalog, you need to run Microsoft Internet Explorer 6.0 or later. Soon, this annoying requirement will be history as the tech giant is working to remove the ActiveX limitation, which means that Windows users will be able to access the Update Catalog using any browser they want. Microsoft hasn’t revealed exactly when the change is going to be visible on the Update Catalog website, confirming only this will happen “soon”. The Microsoft Update Catalog website is being updated to remove the ActiveX requirement so it can work with any browser. Currently, Microsoft Update Catalog still requires that you use Internet Explorer. We are working to remove the ActiveX control requirement, and expect to launch the updated site soon. This is a very smart decision from Microsoft, one that users have been requesting for a long time. The Redmond giant has already killed support for Internet Explorer 8, 9 and 10, and it is surprising that it imposes users to run IE in order to access the Update Catalog. At the same time, Microsoft encourages users to switch to Edge, although Edge limitations exist in the company’s own backyard. Speaking of Edge, Microsoft’s favorite browser isn’t running as smooth as the company had expected. Many users have complained about various Edge issues after they installed the Anniversary Update. Edge freezes, randomly closes multiple tabs, and users can’t download extensions or play audio on certain websites. If you’ve encountered such issues, you can use our fix article to solve them.